So, does London really need another expensive hotel to accommodate business and holiday visitors? Obviously the local hotel industry thinks so with the new Conrad Hotel, originally the Intercontinental Westminster Hotel opening in the city in October, one of 56 new hotels set to go into business in London’s future. After an extensive renovation the Conrad provides 256 rooms with 42 premium rooms, penthouses and suites. 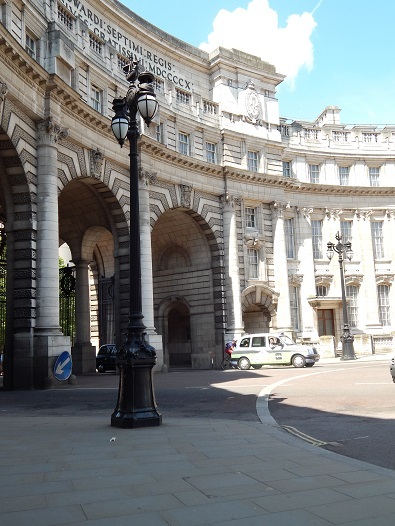 One well known landmark that will be joining the ranks of luxury living is Admiralty Arch. Plans are being put in motion to redevelop the property into a 100 room boutique hotel with a private club. The gatehouse listed building adjacent to Trafalgar Square, in close proximity to Buckingham Palace and the Mall, will certainly offer rooms with a prime location, extraordinary views and a price tag to match. Designed by Sir Aston Webb and built by John Mowlem & Co., the property was completed in 1912 and was commissioned by King Edward VII. It got its name from its neighbouring property, the Old Admiralty Building. The sculptural figures of Navigation and Gunnery were designed by sculptor Thomas Brock. In 2000, the Cabinet Office moved its offices into the building, but still had its headquarters on Whitehall. By 2011 the building was vacant and was put up for sale for a reported £75 million as part of a ‘government austerity program’. The vacant property, with space of 147,300 sq ft over eight storeys had been falling into disrepair with a £900,000-a-year maintenance costs leading Cabinet Office Minister Francis Maude to say that this situation amounted to a ‘tragic waste of an historic building’. In October 2012, the winning bidder for the property was Spanish real estate developer Rafael Serrano and his London firm Prime Investors, who plan to transform the property into a luxury hotel. The property was sold as a 125-year lease for £60million. 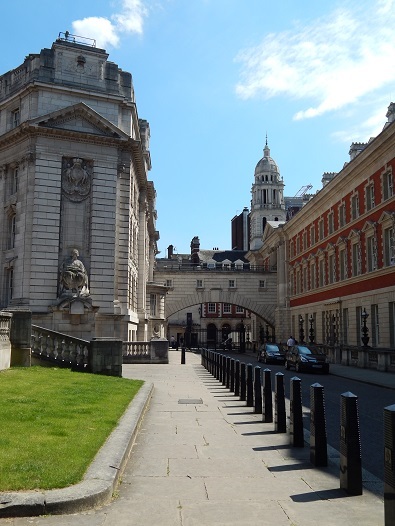 In August 2013, the Westminster City Council granted planning permission for the restoration and conversion of Admiralty Arch into a hotel, residences and private members'club. Spanish developer Rafael Serrano, most notable for the posh 85 room Bulgari Hotel in Knightsbridge, is behind the creation of one of Britain’s most expensive hotels with some rooms fetching nearly £850 per night. 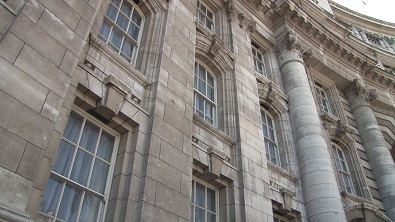 As part of the agreement with Serrano, the building’s original heritage features were to be preserved and the building made accessible to the public, as per the Westminster Planning Committees'demands. Not surprisingly, the developers will pay £600,000 to the local council for social housing and a further £100,000 for "public art". 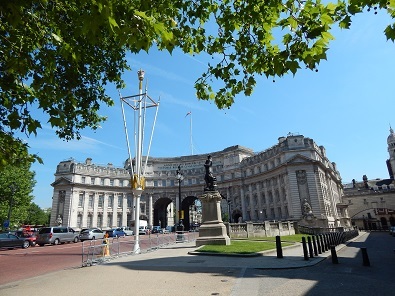 Blair Associates Architecture Ltd was awarded Planning Permission approval for the development of Admiralty Arch. The award winning firm states: "The over-arching aim of the proposal has been to identify and enhance the Heritage values through careful restoration and secure the long term future of the building through the delivery of optimum valuable use. The proposed design respects and complements the iconic Grade I Listed Building and is carefully planned to utilise existing historic fabric, entrances and circulation patterns of Aston Webb’s original design". "3 Restaurants; Bars and Lounges; a Fine Dining Restaurant; a Brasserie on the first bridging floor over the Sovereign Arch with stunning views of The Mall and Buckingham Place to the West and a panoramic view of Trafalgar Square to the East." "The proposed design creates 2 new basements outside the Listed Building envelope but within the demise lines of the site to create column-free space for the larger spaces synonymous with 5* Hotels therefore not affecting the listed structure. The basement provides Ballroom and Meeting Rooms for 300 plus, Spa with 6 treatment rooms, Gym with Swimming Pool 25m in length." Also included is a single large residential apartment. It is anticipated that the project will see completion by early 2016. Mr Serrano also said the hotel should attract about 50,000 guests a year to occupy its 100 guestrooms, with another 50,000 visiting its bars and restaurants, which will be open to the public. The development will also create hundreds of jobs. 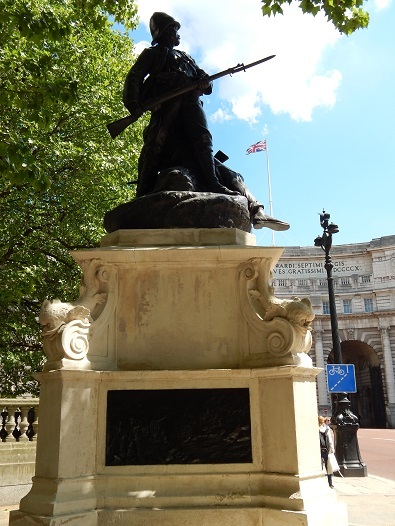 With the millions that Mr. Serrano and his company Prime Investors Capital are using to resurrect Admiralty Arch, can the London hotel market absorb another high price property? Other hotel brands including Armani plan to move into London next year, making it the third acquisition following their luxury hotel developments in Dubai and Milan. Additionally, the Asian Hotel Group Peninsula will be opening a new 160-room luxury hotel in Belgravia in 2017. According to a comprehensive hotel industry report by PWC for 2014-2015, "London continues to be buoyant with the economy doing significantly better than the rest of the UK. The capital attracts a growing number of tourists and property prices and consumer spending continues to outperform the rest of the country." Also their forecasts includes: "After 11,000 new rooms opened in 2011 and 2012 London saw a post Olympics supply slowdown in 2013. Supply is set to rise again by around 5% in 2014 and again in 2015 when we will see above average growth as over 12,000 new rooms open. According to AM PM Hotels, about half these rooms will be in the budget sector". And further: "While the London market saw a poor start to 2013, ADR strengthened as the year went on, assisted by some strong overseas tourism visitation levels, and despite more new supply (albeit more muted than of late), occupancy remained high, averaging 82% in 2013…A comparison to 2011 (the last ‘normal'year before the Olympics) shows that, despite strong supply growth, performance metrics have generally remained stable or improved, which is quite an achievement". In a 2014 leisure and hospitality report Robert Barnard of BDO LLP remarked: "Unsurprisingly, 2013 hotel investments in the UK surpassed all other EU countries, with a total of over £2.5 billion spent, the highest figure since 2007. This year the trend is set to continue, with some of this attention expected to flow back into the regions, where investors are seeking good value for money deals. At present the horizon looks brighter than it has for years…we remain confident that UK hotels will continue to show the strength and adaptability that has become their trademark". More strong earnings reports for London hotels? The trend seems to be continuing for a while at least.